Natural resources of our planet are among the main topics of interest for geoethics. Referring to surface and groundwater management, geoethics promotes a prudent and responsible use, and recycling wherever possible, fostering key concepts like sustainability, respect for natural dynamics, and preservation from pollution. In this perspective, geoscientists are called to disseminate correct information on the best way to manage water resources for the benefit of society, and to sensitize public opinion about the active contribution the population can give to the conservation of water in order to avoid the depletion of this essential resource for the life on the planet. 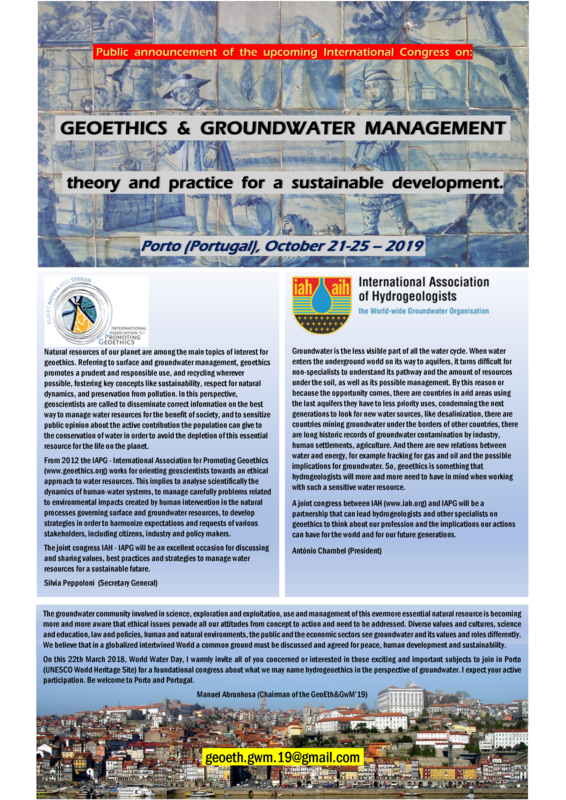 From 2012 the IAPG – International Association for Promoting Geoethics (www.geoethics.org) works for orienting geoscientists towards an ethical approach to water resources. This implies to analyse scientifically the dynamics of human-water systems, to manage carefully problems related to environmental impacts created by human intervention in the natural processes governing surface and groundwater resources, to develop strategies in order to harmonize expectations and requests of various stakeholders, including citizens, industry and policy makers. 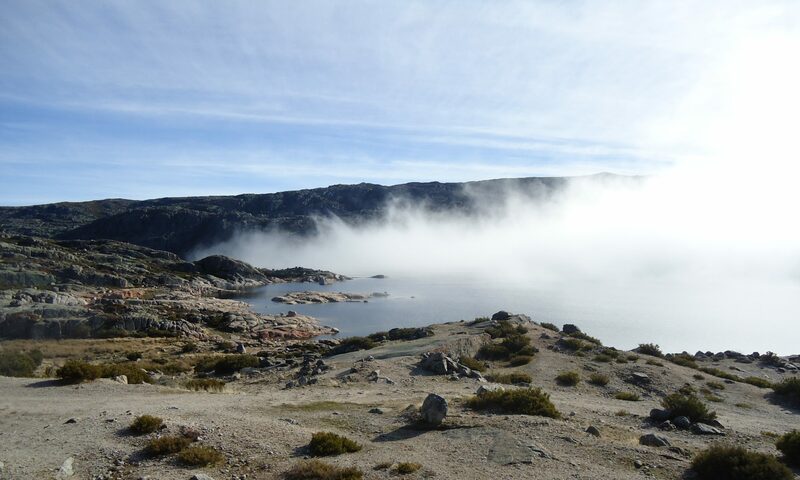 The joint congress IAH – IAPG will be an excellent occasion for discussing and sharing values, best practices and strategies to manage water resources for a sustainable future.Silvia Peppoloni (IAPG Secretary General)Groundwater is the less visible part of all the water cycle. When water enters the underground world on its way to aquifers, it turns difficult for non-specialists to understand its pathway and the amount of resources under the soil, as well as its possible management. By this reason or because the opportunity comes, there are countries in arid areas using the last aquifers they have to less priority uses, condemning the next generations to look for new water sources, like desalinization, there are countries mining groundwater under the borders of other countries, there are long historic records of groundwater contamination by industry, human settlements, agriculture. And there are new relations between water and energy, for example fracking for gas and oil and the possible implications for groundwater. So, geoethics is something that hydrogeologists will more and more need to have in mind when working with such a sensitive water resource. All text and materials reproduced in this site has rights reserved to the respective authors. Todos os textos e materiais aqui reproduzidos tem os seus direitos reservados aos respetivos autores.